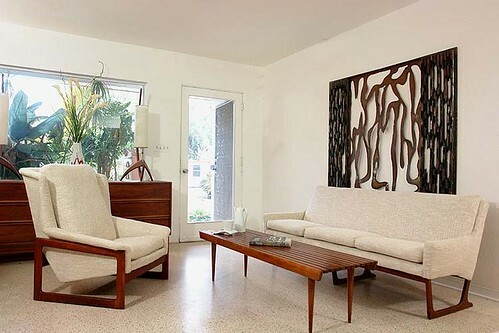 eBay seller design.addict just posted a nice living room set by Hans Wegner. 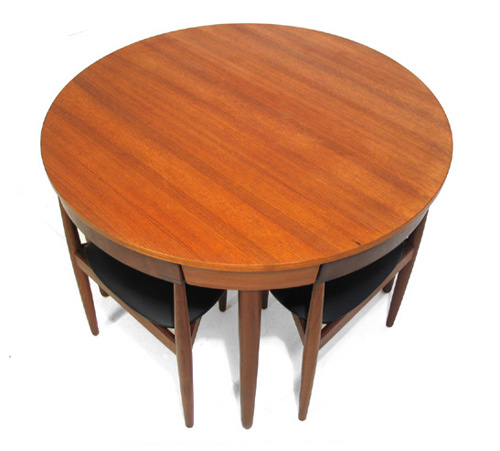 The three items include a teak sofa and GE-270 armchairs with leather cushions, and a teak coffee table for Andreas Tuck. 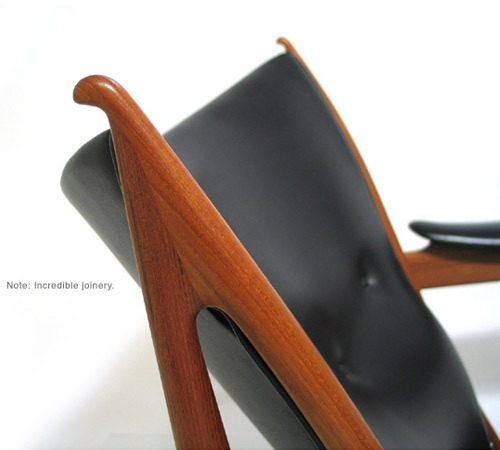 Wegner once said “a piece of furniture must never have a back. It must cohere: one shouldn’t be able to tell where it begins and where it ends. You experience furniture from every angle and it must stand up to being seen from all sides.” This sofa is testament to this philosophy.